The Global Genoa Series features the durability and value of laminate and clean contemporary design. 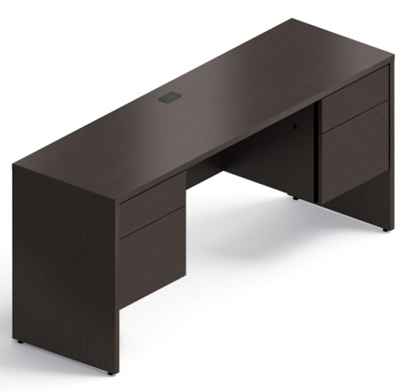 This double pedestal office desk works well when you require some drawers and good knee space. 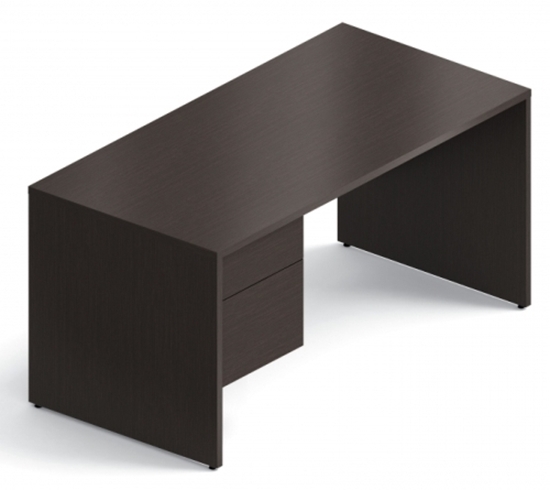 Combine this eco-friendly desk with a lateral file, credenza, or bookcase to complete your office furniture suite. In stock finishes: Dark Espresso & Quartered Mahogany. Other finishes: 3-4 week lead time. View the Global Genoa Series Brochure! The Global Genoa Series combines the value of laminate with the contemporary styling of top over end panel design. Includes knee-space credenza only. Order today and get free shipping! This Genoa Two Drawer Lateral File Cabinet combines the durability of laminate with the contemporary styling of top over end panel design. It offers ball bearing drawer suspension slides. 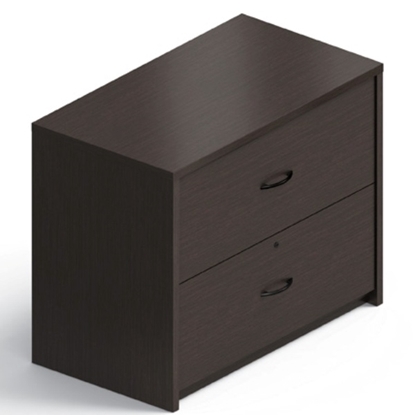 Use it as a stand alone unit in your office or combine with other Genoa series furniture.